Our next trip is mid-summer of 2011. Why not join us????? 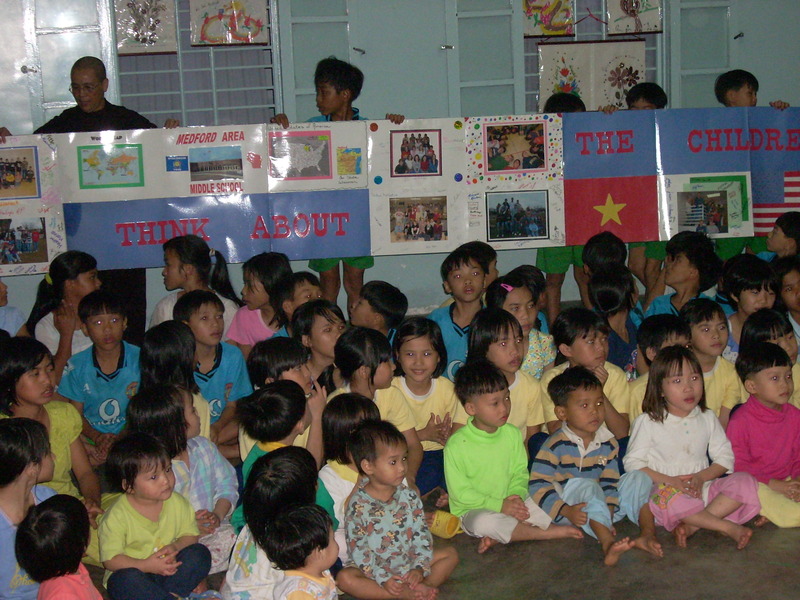 Think About the Children has taken two sets of students to Viet Nam. 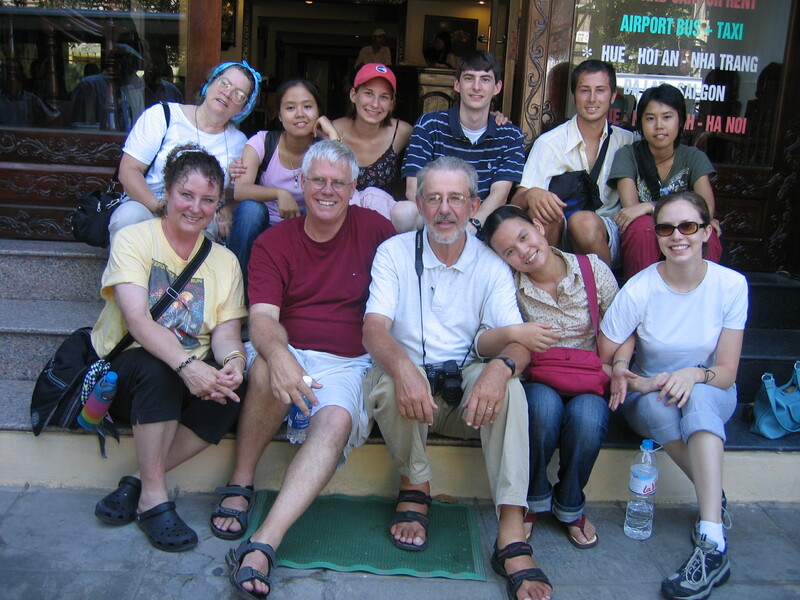 Four students went on a Study Abroad Viet Nam in 2006 and thirteen students traveled on an International Service Learning trip in 2007. Students who travel to Viet Nam are moved by the experience. The USA is such a beautiful country. It’s citizens have so many opportunities. Seeing the poverty that is typical in a developing country like Viet Nam has an effect that can last a lifetime. Our students have been especially effected by the interaction with orphans at Ms Don’s in Ho Chi Minh, City and Duc Son near Hue. These children so enjoy the USA students who come to play with them. The USA has almost eliminated orphanages with foster care and other situations. Orphanages are everywhere in Viet Nam simply because there is no support system for children at-risk. 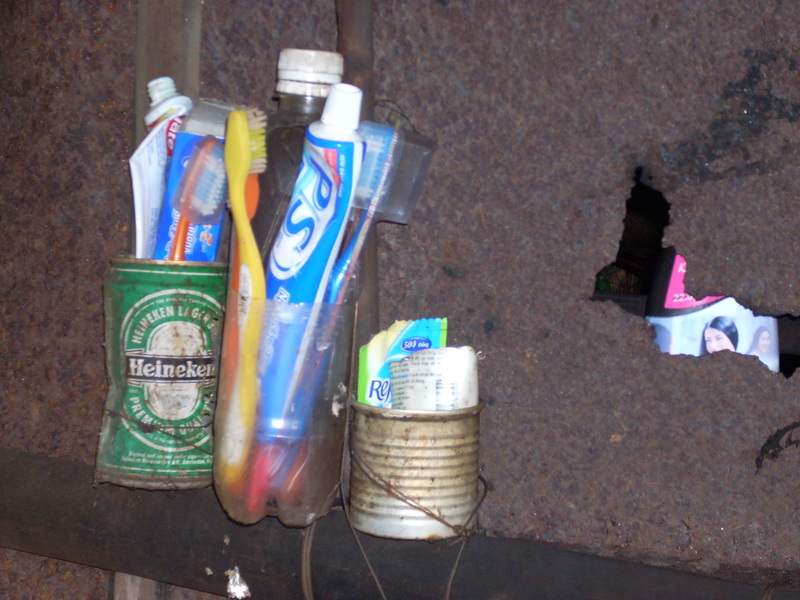 This photo below shows some items our students provided families in a beach village after a Typhoon. The students’ lives upon returning home were all effected by this flood relief work. If you have an interest in going to VN simply email us. We only go when we have donations to use to help needy kids, but we are always willing to take people with us.